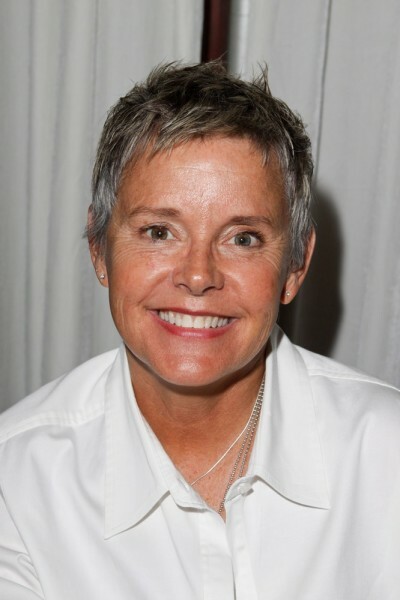 Place of Birth: Winter Park, Florida, U.S.
Amanda Bearse is an American actress, director, and comedian. She is known for her role as Marcy Rhoades D’Arcy in the sitcom Married… with Children. Amanda is the daughter of Ann (Armistead) and Danforth Parker Bearse. She was born in Winter Park, Florida, and was raised in Atlanta, Georgia. Amanda’s paternal grandfather was Asa Taylor Bearse, Sr. (the son of Asa Bearse and Minnie Amanda Smith). Amanda’s great-grandfather Asa was the son of Francis Dodge Bearse and Lucy Josephine Parker. Minnie was the daughter of James Washington Smith and Emily Harriett Wynne. Amanda’s paternal grandmother was Mary Lucille Wingo (the daughter of William Thomas Wingo and Mary Caledonia Gibson). Amanda’s maternal grandfather was Jesse Warren Armistead, Jr. (the son of Jesse Warren Armistead and Mary Elizabeth King). Amanda’s great-grandfather Jesse was the son of Joel Colley Armistead and Sarah Elizabeth Sparks. Amanda’s maternal grandmother was Margaret J. Beauchamp (the daughter of Charles Crogan Beauchamp and Lucia Jackson). Charles was the son of John C. Beauchamp and Ella H. Gregg. Amanda’s patrilineal line can be traced back to her eighth great-grandfather, Augustine Bearse/Austin Bearce. According to a tale written down by Franklin Bearce, he was a Gypsy (Romani) who was deported from England to Massachusetts and married Mary “Little Dove” Hyanno, a Wampanoag Native American woman. Many people have questioned the credibility of Franklin and regard the tale as a legend. There is no proof, beside Frankiln’s writing, that Augustine married a woman named Mary or a Native American woman. However, their son Joseph Bearse, Amanda’s ninth great-grandfather, was buried in a Native American cemetery, which might add credibility to the tale. It is also not clear whether Augustine was really of Romani descent. The surname “Wingo” is likely to be an anglicized version of the French Huguenot surname “Vigneron/Vigneau”, meaning “winegrower”. We need such data on A-listers, not this person. please go away. I have reported you and i hope you will be removed soon ….